It's one of our earliest burn dates ever! Please join us Tuesday for this safe, free, kid-friendly event. Come join neighbors and friends for a quick hour and a half of work to improve Buhr Park. 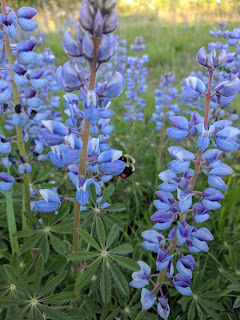 The lupines are coming, the lupines are comng! 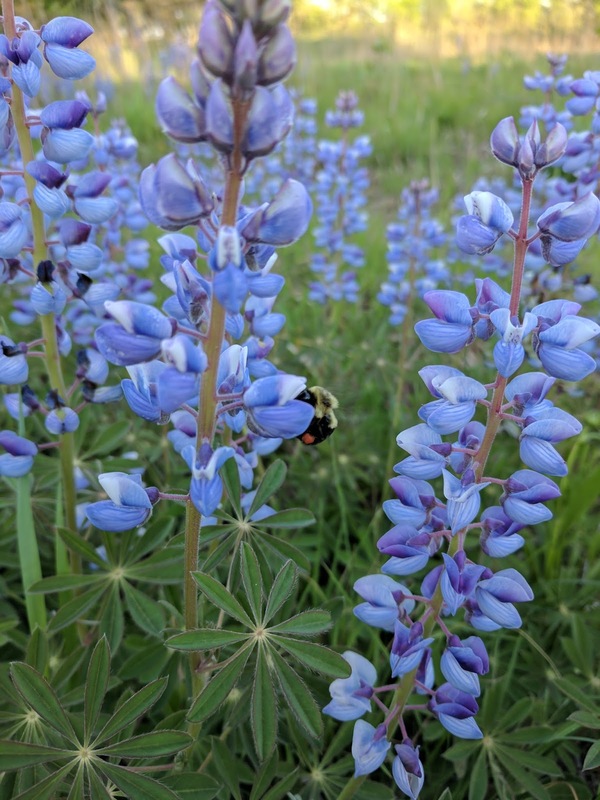 Lupines are one of my favorite native plants. The blossoms are a delicate purple color. 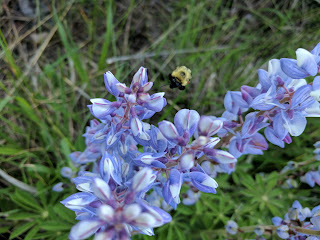 And they attract many butterflies, bees and other pollinators. I'm delighted that lupines are blooming in two places in Buhr park. 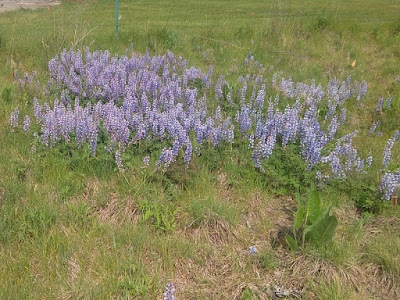 One is the sand prairie in the upper (north) basin of WM II, on the west side of the park behind the swimming pool. 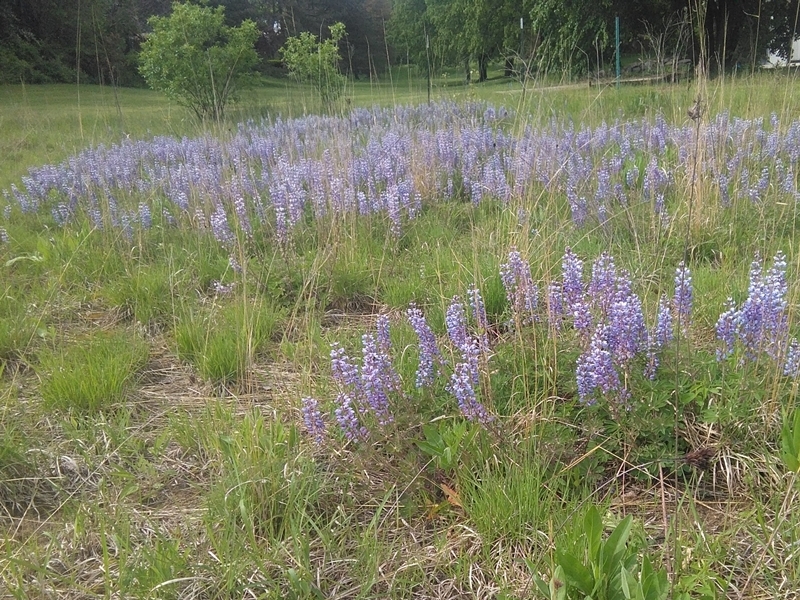 The other is in the original Wet Meadow, at the base of the sledding hill, on the east side of the park. 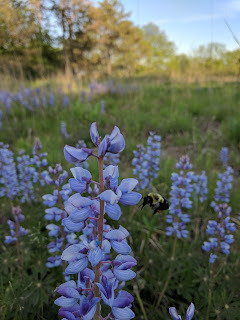 Here are a few shots of pollinators in action! 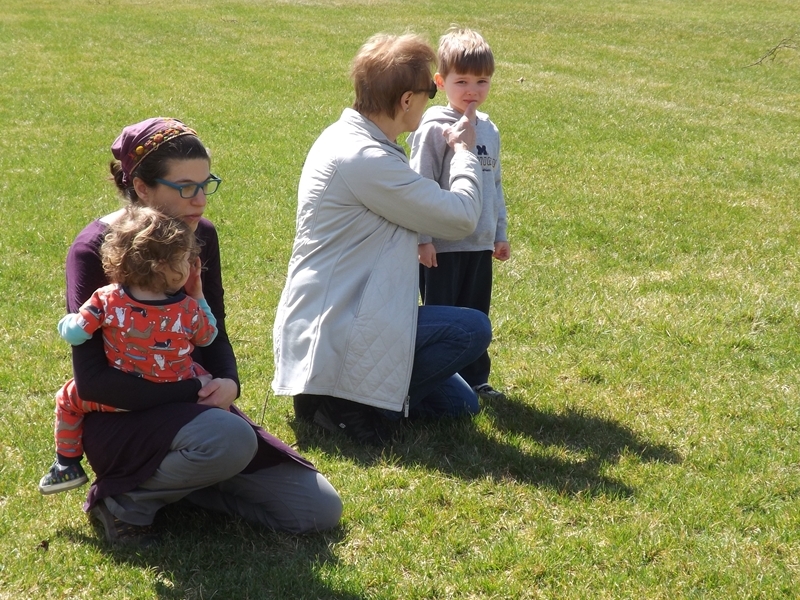 This was a good year for tickle bees at Buhr. 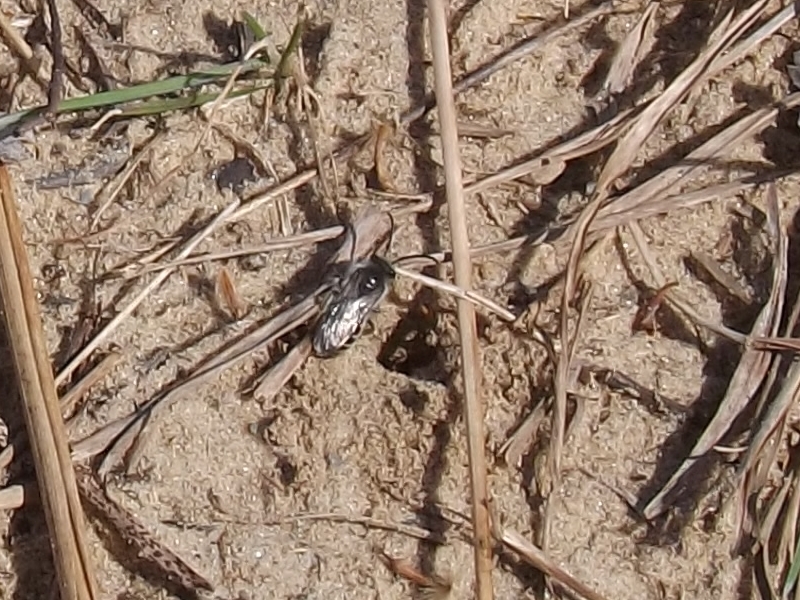 These bees nest in the ground, in the upper basin behind the swimming pool. 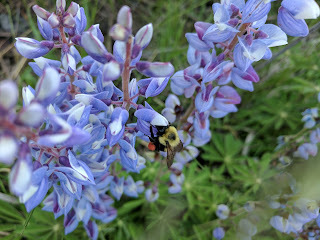 We call them tickle bees because they are harmless to humans. The ones we see on sunny days in April are males, cruising at about 12 inches above the ground, looking for partners.Fun fact: male bees have no stingers. 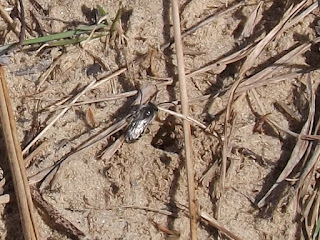 Our tickle bees are probably in the genus, Colletes.They are also called, "cellophane bees" since they line their nests with a cellophane-like substance. 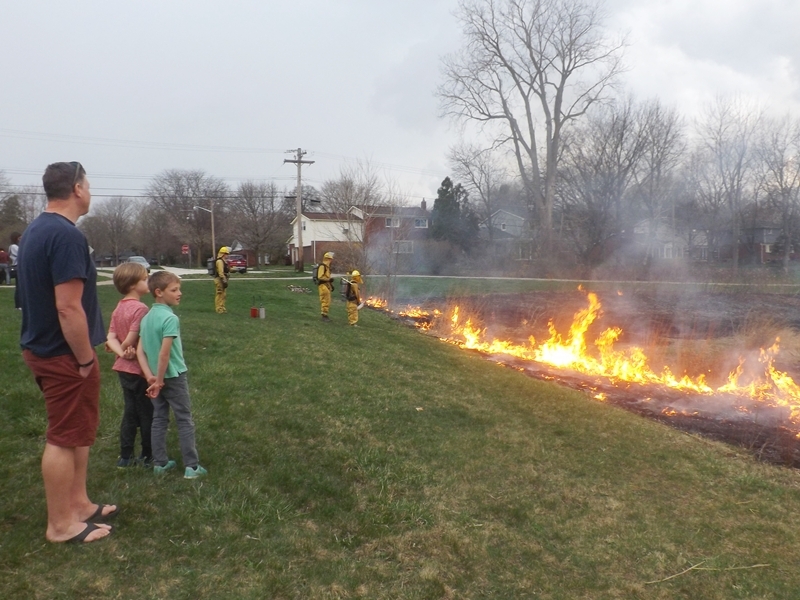 The prescribed ecological burn on April 10, 2017 was an exciting event for children and adults. Trained staff and volunteer from City of Ann Arbor Natural Area Preservation explained the purpose of the burn and described safety eqiptment and procedures. Since the wind was coming from the south, they started the burn at the northern edge. Here's what it looked like when the flames were closer to the viewers. A few moments after this picture, we started to feel raindrops! So this is the first burn on record where it rained at the end of the burn. Kids and parents went home, so we'll plant seeds sometime later this week. 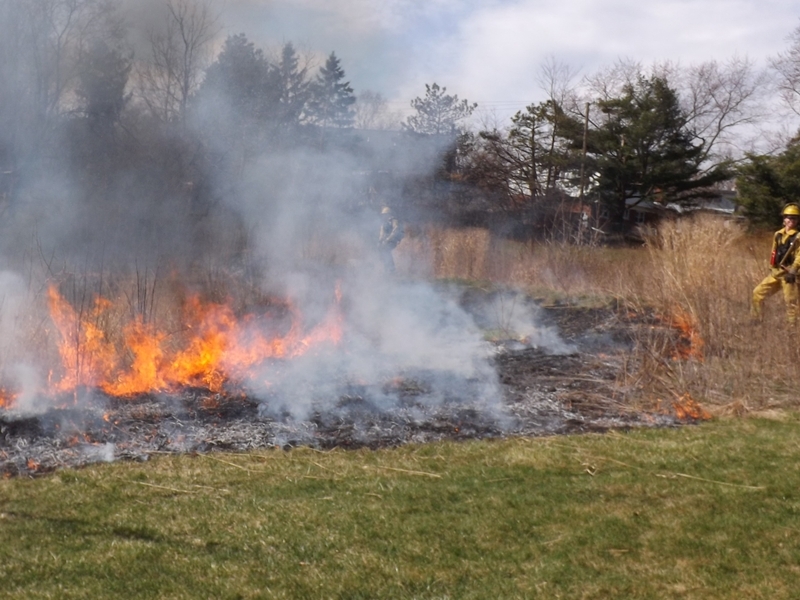 Our annual prescribed burn has been postponed until Monday, April 10, 2017. To achieve the desired results, plant materials must be dry and humidity low. Wind speed and direction are important for smoke control. Based on the updated weather forecast, prospects for Monday look good. As originally planned, we will collect seeds starting at 4:00 PM. 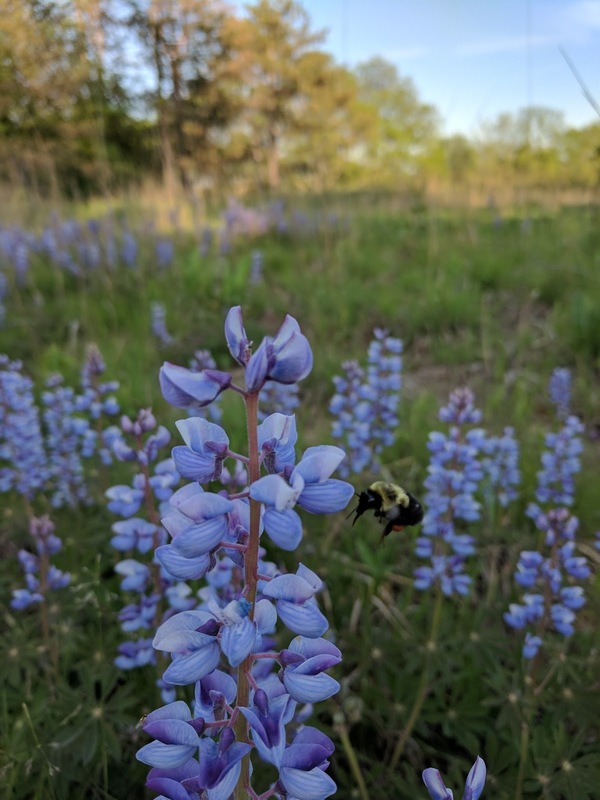 About 4:30, trained staff from Natural Area Preservation (City of Ann Arbor) will explain their equipment and safety precautions. Then everyone will watch from a safe distance.This year's burn will be held at the north-west quadrant of the park, north of the ice rink, near the east end of Essex Street. In case of adverse weather, we will re-schedule on a day-by-day basis.